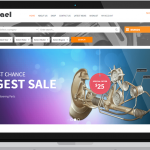 If you are thinking about creating an online auto parts catalog, then it’s quite necessary to consider three elements. Apart from determining the set of individuals, you should be aware of how you would be presenting the car parts. Moreover, you should always be able to resolve problems and fulfill the requirement efficiently. You should also consider some tips that would help you create an auto parts catalog. 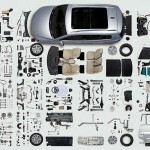 As you understand the list of car parts, you should know which ones have to be featured or categorized. You should also be aware of how your competitors have developed the online catalog. Check out if you need an order form. This will certainly help to fill up the details once the order is placed. While your team member starts writing descriptions, you should request the graphic designer to create images of every single car part. Catchy lines just next to the images can garner the attention of buyers and would entice them to purchase the auto part. The descriptions should not only be concise but also easy to read. Avoid using technical language which might be quite tough to understand. Pay attention to the design of the catalog even if an inexperienced graphic designer is carrying out the tasks. Try keeping everything simple rather than just a clumsy design. Ensure to enhance the brand image by being consistent in the font and layout styles. Make sure the online catalog has a minimum number of interfaces while topography is taken into consideration. Change the font when you need to distinguish between categories and subcategories. As you strive to develop the business, you should focus on the promotion of car parts. A detailed design could distract the visitor and never make him realize the purpose of developing a catalog. Once the designer has done a good job in creating the catalog, you should start sharing it on social media platforms or by sending emails. In case you are managing a website, then you should think about different cross-selling strategies. While email marketing aids to share the catalog in the most practical way, you should consider sending printouts to trade shows and events. But, as you think differently, you should assign the task to an experienced professional. Finally, you should empower the digital catalog creation software with precise analytics. On the other hand, data mining will help you understand the traffic as well as the behavior of customers. A/B split testing can certainly help combine elements and the bestselling car parts. Analysis and recommendations can help you improve the online catalog and fetch high profitable returns. Unlike brochures, the online catalog can be considerably improved without bearing additional expenses.